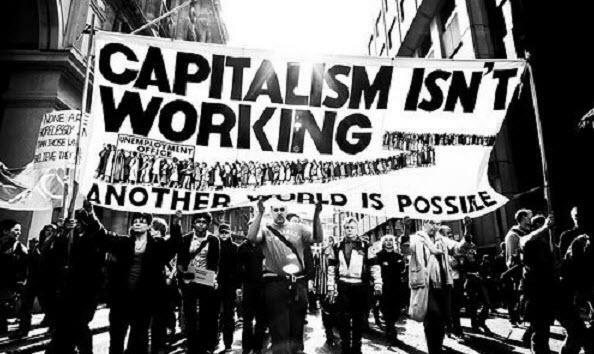 Home › AIDC › Capitalism Has Failed — What Next? The capture of the surplus value produced by overexploited populations in the poorest regions of the world, via the global labor arbitrage instituted by multinational corporations, is leading to an unprecedented amassing of financial wealth at the center of the world economy and relative poverty in the periphery. Around $21 trillion of offshore funds are currently lodged in tax havens on islands mostly in the Caribbean, constituting “the fortified refuge of Big Finance.” Technologically driven monopolies resulting from the global-communications revolution, together with the rise to dominance of Wall Street-based financial capital geared to speculative asset creation, have further contributed to the riches of today’s “1 percent.” Forty-two billionaires now enjoy as much wealth as half the world’s population, while the three richest men in the United States—Jeff Bezos, Bill Gates, and Warren Buffett—have more wealth than half the U.S. population. In every region of the world, inequality has increased sharply in recent decades. The gap in per capita income and wealth between the richest and poorest nations, which has been the dominant trend for centuries, is rapidly widening once again. More than 60 percent of the world’s employed population, some two billion people, now work in the impoverished informal sector, forming a massive global proletariat. The global reserve army of labor is some 70 percent larger than the active labor army of formally employed workers.